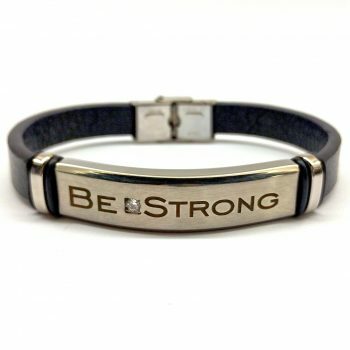 Engraved leather and stainless steel bracelet featuring a small CZ between the words “Be Strong.” The bracelet has a very nice weight, quality and finish. 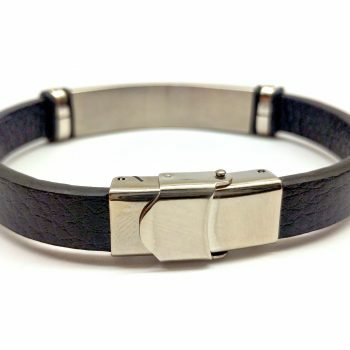 It can be sized to fit a smaller wrist by removing the clasp and cutting it down to size. 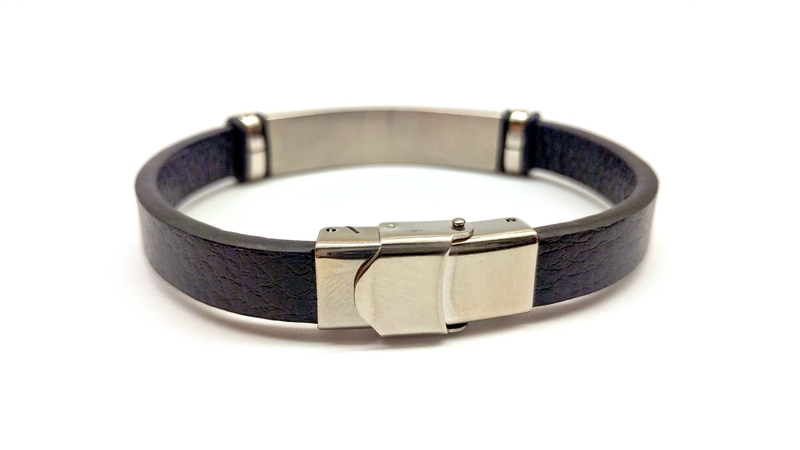 The bracelet band measures .93 inches in width, the stainless steel plate is .45 in width. 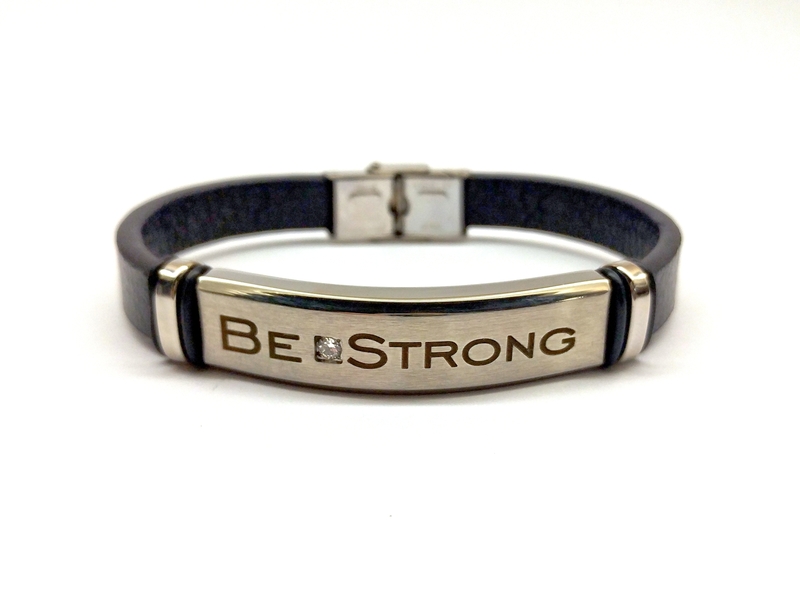 The total length of the bracelet is 8.5 inches in length. 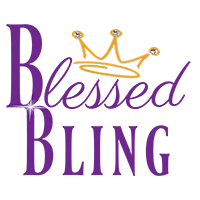 Valued priced at $24.95 Quantities are limited while supplies last.